Lead time on white, oak and rosewood windows is generally around 10-15 working days depending on the specification and delivery area. Coloured upvc windows such as grey, cream, black and chartwell green can take longer to manufacture. Upon order we shall provide an estimated delivery date and endeavour to notify you of the proposed delivery date and 2hr time slot at least 72 hours prior to delivery. The delivery cost to most England postcodes is £40. Minimum order value of £250 applies to certain delivery areas. If we are unable to cover your area for delivery you are welcome to arrange collection. 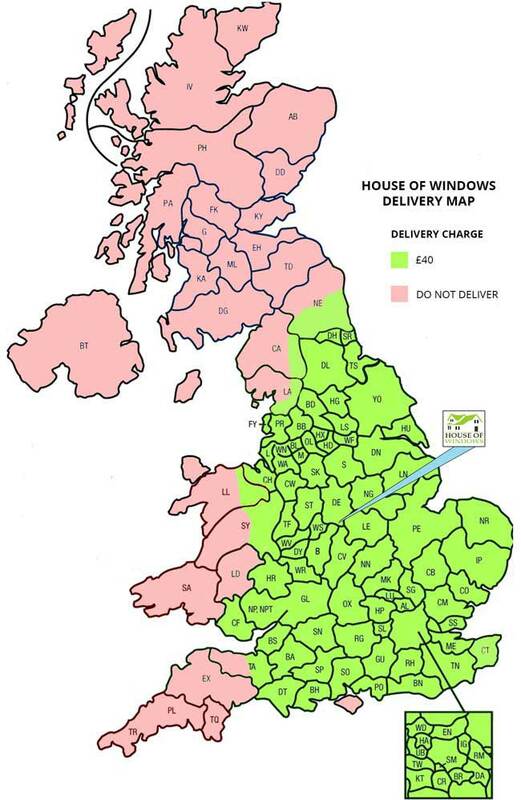 Using our own delivery fleet and experienced drivers, every effort is made by the House of Windows delivery team to ensure your order reaches you safely and in the same condition it leaves the factory. ​Orders can be delivered to your home address or direct to site. Upon prior arrangement we can leave your order on site in the event no one is available to sign for.